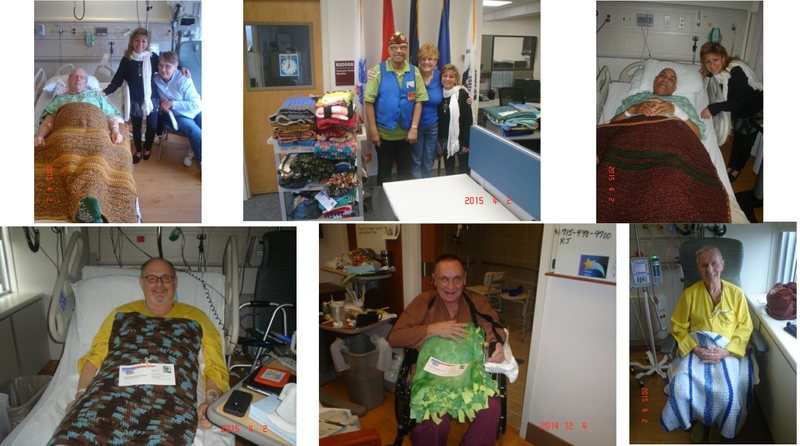 Our mission is to wrap our veterans in comfort and warmth with lapghans made out of love and gratitude for their sacrifices and service. The finished dimensions should not exceed 36 inches by 48 inches and there is no fringe or other adornments along the edges. If you do not like to take on large projects such as afghans, you may knit or crochet 6 X 6 inch squares or 12 X 48 inch strips. It would take 48 squares or 3 strips to make a lapghan. The lapghans may be also made of fabric, so sewers and quilters are welcome to volunteer as well. We are always in need of yarn donations. Any color, any brand of Worsted Weight 4-ply yarn is needed. Partial skeins of yarn are accepted as well as new skeins. Monetary donations are also welcome. The inspiration for this organization comes from my father, Sgt. Walter Petroske. 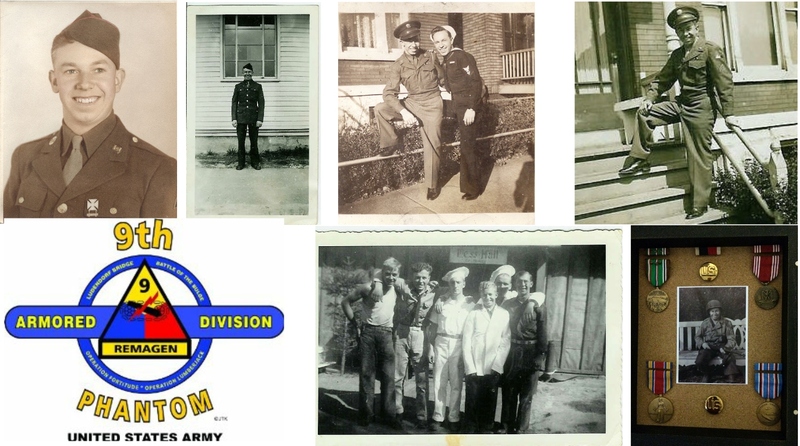 My father served in the Army in WWII, Company A, 9th Armored Engineer Battalion. He was a demolitions specialist and bravely fought in the Battle of the Bulge and Remagen Bridge in Germany. He was honorably discharged in 1945 after the end of the war. My father has always been a proud and patriotic American and a true role model for those around him. I want to honor him by using my crochet talents in providing lapghans for veterans. 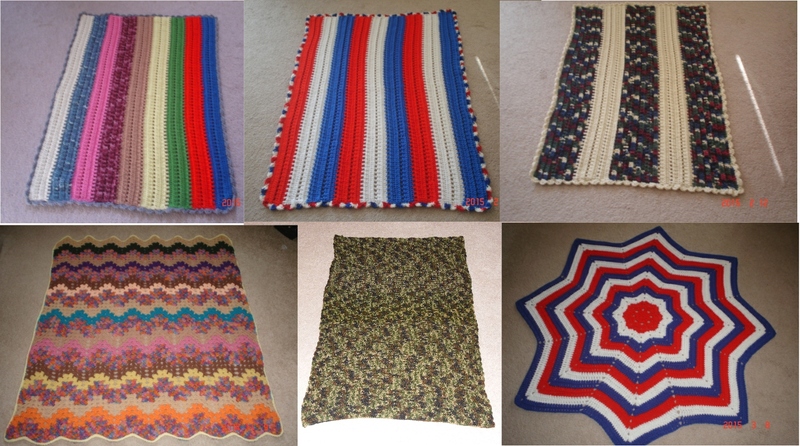 I welcome anyone who would like to donate their time and/or yarn to knit and/or crochet lapghans for veterans. 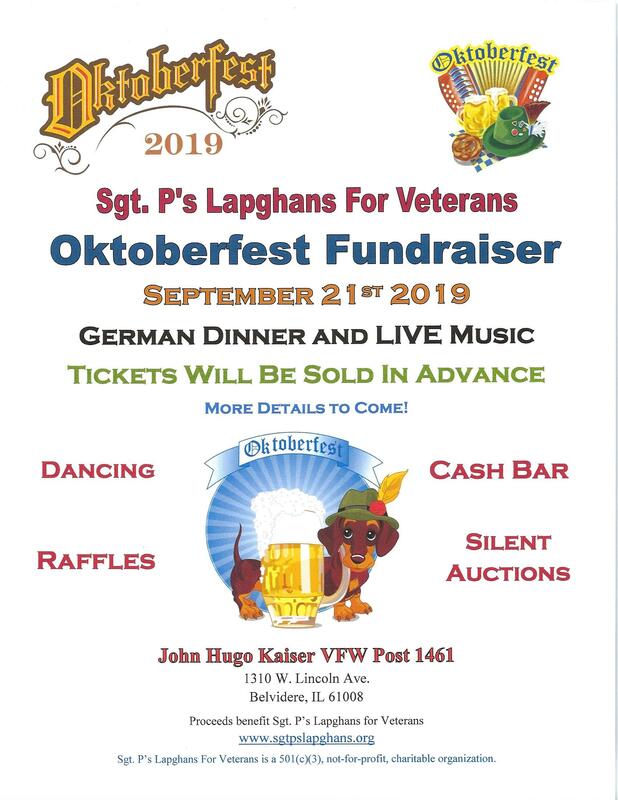 As I accumulate lapghans, I will be visiting nearby VA hospitals and clinics to distribute them to veterans. What is a lapghan? This is a common question I run into. Basically, a lapghan is a wheelchair-friendly afghan. The maximum dimensions are 36 by 48 inches and no fringe or other adornments that may get caught in the wheels. Sgt. 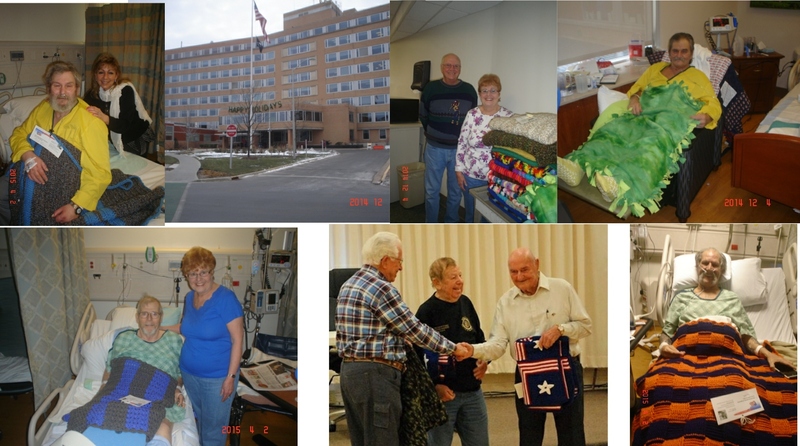 P’s Lapghans for Veterans was established on Flag Day, June 14, 2014. NO ONE receives a salary. All labor is donated.